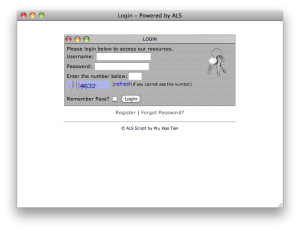 ALS (Advanced Login System) is an user authentication system that you can use to protect private web pages. However, what sets it apart from other similar login scripts is that not only does it has advanced features, such as CAPTCHA images and brute force protection which are more commonly seen in commerical scripts, but also the flexibility of smaller scripts. You can read about its development here. 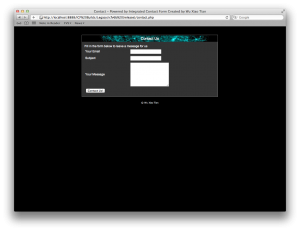 Integrated Contact Form is a simple web contact form powered by PHP that is meant to protect your email from spammers. However, what makes it unique is that it offers 2 ways of delivering the message – by storing the message in a MySQL database that can be viewed with the included admin panel and the more conventional way of emailing the message. Note that this build is not fully stable and there is a major update planned. Sorry, not planning to update it any time soon. However, please feel free to examine the source code and modify the script to your needs.